One of India's biggest civil society networks, National Alliance of People's Networks (NAPM) has decided to hold a national level consultation at the Constitution Club in New Delhi on December 16 in order to raise its voice against World Bank support to the Tatas' ultra mega power plant (UMPP), whose expansion is now on cards at Mundra, Kutch district in Gujarat. To be held jointly with the Machimar Adhikar Sangharsh Sangthan (MASS), which has long been protesting against the UMPP's alleged environmental damage and adverse impact on people's livelihood, the discussion is likely to focus on how the top international bankers have ignored the plight of the local people while funding projects in India. A NAPM-MASS joint statement, issued on Friday, has called upon civil rights activists and experts to take part in the discussion to set the tone for consultations, saying, "Disproportionate to its quantum of lending, the World Bank’s influence on India has been unparalleled since it became a member of the World Bank on December 27, 1945. The influence, most often under the veil of secrecy and obfuscation, spanned not just over the economic polices of the country, but over almost all sectors, law and administration." "This is apart from India being the single largest borrower from the World Bank group for development projects – dams, thermal projects, infrastructure projects, urban development etc. The Bank also was instrumental in privatizing water and power, and opening up agriculture to corporate plunder – something which had a serious impact on a very large section of the population. World Bank Group has currently 386 active projects in India with a committed portfolio of $29.5 billion", the statement said. It added, "The increasing lending and influence didn’t match with the Bank’s reluctant transparency and accountability. Talking tall on these principles, the Bank failed to walk its talk. It took years of hard struggle for the people of Narmada valley to hold the Bank accountable for its lending to the Sardar Sarovar dam. The Bank was forced to withdraw its lending to the dam in 1993." Pointing out that "many other struggles have not been as lucky", the statement underlined, "Be it the people affected by Singrauli thermal power project, or the slum dwellers affected by the Mumbai Urban Transport Project or the fisherfolk and coastal communities affected by the ongoing Integrated Coastal Zone Management or the tribal community affected by the limestone mining by Lafarge in Meghalaya, the Bank continue to turn it blind eye to the serious impacts of these projects on people and environment. In a few cases like the GMR Kamalanga thermal power project, people are availing all possible opportunities to hold the World Bank Group accountable". Coming to the World Bank support to the Tata project, the statement pointed out, "After the Morse Report, which scripted the ousting of Bank from Sardar Sarovar Narmada Project, one significant report on India, authored by the Bank’s own compliance mechanism is the recent report by Compliance Adviser Ombudsman (CAO) report on the International Finance Corporation (IFC)-funded Coastal Gujarat Power Ltd (Tata Mundra), released late October 2013." The statement said, "The communities lodged a complaint with the CAO in 2011, raising serious issues arising out of the Tata Mundra project. After two year process, the CAO released its findings. The report confirmed all the concerns raised by the communities." * Environmental and Social risks and impacts of the project were not considered and addressed. * Inadequate attention paid to the requirement of biodiversity conservation. * IFC failed in its review and supervision of the impacts on airshed & marine environment. "Expectedly", the NAPM-MASS regretted, "IFC rebutted the findings. It went out of the way, and even risking its own credibility, defended its actions and their client. 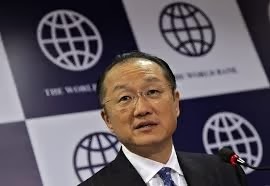 What was shocking was World Bank President Dr Jim Kim’s complete silence over the findings. While proceedurally the president is the one who should take actions on the report, he chose not to take any actions, defending the IFC, making mockery of communities’ concerns and undermining CAO, World Bank’s own accountability mechanism." * How accountable is the World Bank? * Is the existence of CAO and Inspection Panel in World Bank a farce? * Who is made accountable when institutions like CAO find serious non-compliance of policies? * How is World Bank Group accountable to the people who are affected by its lending? * Are there oversight mechanisms in India over World Bank and other financing by international financial institutions? Inviting broad sections of civil society activists and experts to discuss some of these issues on December 16, 2013 afternoon at the Constitution Club, New Delhi, the statement expects participation by World Bank funded project affected persons from different parts of India, senior activists and Parliamentarians. It has also called upon Bank and project officials to take part in the consultation to answer apprehensions. Calling World Bank President Jim Kim’s inaction on a scathing report on Tata Mundra power project a “disappointment”, several Church leaders, who are also active in social work, have written an open letter to him, urging him to take “bold actions and put the Bank on right track”. "We have been following the developments at Tata Mundra for some time. We were concerned about the colossal social and environmental costs of the project, particularly on the poor fishing communities. "We were very happy to learn that your independent recourse mechanism Compliance Advisor Ombudsman (CAO) is investigating International Finance Corporation’s (IFC) compliance of its social and environmental policies. We were hoping that the findings will help the fisherfolk and other communities affected by the project to address their concerns. "The CAO findings point to serious lapses in the compliance. The findings point to the fact that neither the IFC nor the company have done a serious and steadfast impact assessment, or, informed or consulted the affected communities before risking their livelihoods, or developed plans to mitigate the impacts. Apart from a serious threat to their livelihood, the health impacts of the project on people, especially the children, is reported to be very grim. This, Dr. Kim, is very serious for a project of this magnitude. "Despite high hopes on appropriate actions on the findings, to our disappointment, we learn that there has been no action taken on it. At a time when the climate change is a reality, putting thousands of lives and property at risk, we are afraid that the cost of this inaction would be too high. "We believe that God as appointed you as the President of World Bank Group to take some bold actions and put the Bank on right track. This is one opportunity for you to do that. We hope you will not hesitate to stand by the truth and lead from the front."